The final Australian GT race of the year will have a Grand Final feel to it with two championships set to be decided at this weekend’s Laser Plumbing & Electrical Hampton Downs 500. A dramatic 2018 season has built to the final event, with the 101-lap encounter set to crown both the CAMS Australian Endurance Champions, and the CAMS Australian GT Champion. It’s the first time an Australian GT champion will have been crowned at Hampton Downs, and the first time the Australian GT Championship has competed at the tricky Waikato circuit. The Australian GT Championship began in March at the Formula 1 Rolex Australian Grand Prix and has taken in five events since, including headlining the inaugural event at the world-class The Bend Motorsport Park near Adelaide. Within the Australian GT Championship, three events count towards the Australian Endurance Championship, the last of which will be played out this weekend. Total/Opti-Coat McLaren racer Fraser Ross currently leads the Australian GT Championship with a slender 16 point advantage over Peter Hackett who will pilot the Eggleston Motorsport Mercedes-AMG. Hackett won last year’s Hampton Downs 500 with Dominic Storey, the New Zealander re-joining the team this weekend for the first time since the opening round of the year at Albert Park. They’ll face off against 2018 Bathurst 1000 race winner Steve Richards, who returns in the BMW Team SRM M6 GT3. Richards is a firm contender in both championships, with he and co-driver Michael Almond just 36-points off Australian Endurance Championship leaders Max Twigg and Tony D’Alberto. Twigg and D’Alberto notched up an impressive victory at The Bend in their WM Waste Management Mercedes-AMG GT3, and another podium at Phillip Island sees the duo leading the Endurance competition. However, with a maximum of 320 points up for grabs at Hampton Downs, both championships remain wide open. 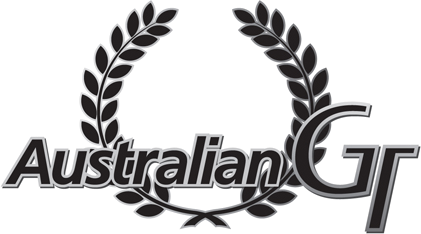 Any one of nine drivers could win the Australian GT Championship, including 2017 champion Geoff Emery (Jamec Pem Audi R8 LMS GT3), Tony Bates (KFC Audi R8 LMS GT3), Liam Talbot (Hot Wheels Car Care Products Porsche 911 GT3 R), Twigg and D’Alberto, and Scott Taylor in the Scott Taylor Motorsport Mercedes-AMG GT3. It’s equally competitive in the Australian Endurance Championship standings, with over a dozen driver combinations mathematically in the hunt. Tony Bates and Dan Gaunt sit third in that competition, having won the Phillip Island 101 in their Audi; while Ross will be joined by Duvashen Padayachee this weekend as he chases a potential double championship glory. Also in the mix is Emery, who will share with Garth Tander, Hackett and Storey, Adrian Deitz and Cam McConville (Wall Racing Lamborghini Huracan GT3), Taylor and co-driver Craig Baird, and Talbot who will again be joined by John Martin. The Hampton Downs 500 will see an all-new qualifying format, with a 30 lap qualifying race on Saturday afternoon to set the grid for Sunday’s race. Two 20-minute qualifying sessions will determine the starting order for the Qualifying Race, which will include a compulsory pit stop. The race winners will receive 20 points and pole position for Sunday’s race, an outcome which could prove decisive in the chase for championship glory. It sets the scene perfectly for what will be a thrilling weekend of racing, with two champions to be crowned in what will a thrilling Grand Final style conclusion to the 2018 Australian GT season.